A person who does not love sports is definitely hard to come by! And to make the most of this passion for sports, we are often forced to shell out a fortune in buying those sports tickets. For, no matter what, how can we not show up for our team and experience the frenzy at the stadium! Now, what if someone wants to soak in the entertainment of sports without splurging excessively? Yes, that is totally possible! You can really shout and cheer for your favorite basketball and soccer team without thinking about the hefty price tag of tickets. 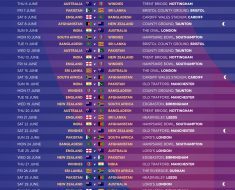 Whether you are eager to turn up for the Hockey session in this March or the Baseball games in May, you should join the fan club as soon as possible. If, you are a part of the fan clubs you will be among the first ones to know about the ticket offers. Sometimes you will have to pay a nominal fee to be a member of the fan club. Do not worry if you get to attend several games of the season, the fee will pay off automatically. You will be made aware of the availability of the sports tickets as soon as it will go out for sale. Sometimes sponsor companies that promote sports teams, give out passwords which can be used for purchasing sports tickets even before they go out for sale. Most of the times, the passwords come with discounted tickets. For this, you are not even required to join a fan club, as it is available for the common public. If you don’t know what it is and where to find it, Google it and you will understand everything. This is also a way to get cheap sports tickets for your favorite sports team. When ticket agents cannot manage to sell sports tickets at the marked price they list them in sites like eBay. You might not know but often online tickets are sold at face values because the agent simply wants to get rid of the tickets. There are a few drawbacks to this, the low priced tickets often turn out to be fraudulent and thus might lead to disputes at the stadium. 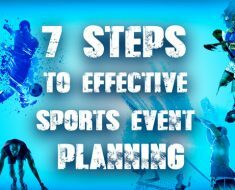 You should be very well aware with those measures that help you to prevent risk while buying events tickets online.The benefit is if you are booking tickets for the Hockey session in March but eventually, but if you do not make it to the game; you can also resell your tickets to someone else. Yes, such a zone exists in various sports venues where fans are invited before each and every game. This initiative is done in a regulated zone where transactions of tickets between fans are regulated. In scalp-free zones, all the sports tickets are sold for face values. If you are hesitating by thinking the tickets might turn out to be phony, then don’t fret because brand personnel will be present to examine the tickets. If you are wondering what are unpopular tickets, then you would be surprised to know that these are nothing but singles tickets. Whether you are planning to watch a playoff between two soccer teams or basketball teams you definitely want to take your gang with you right? That is why couple tickets are more expensive because most individuals don’t want to sit by themselves. If your aim is to save some bucks then don’t book two or more adjacent tickets rather you can book in the same row or piggyback seats where you are directly sitting behind each other. 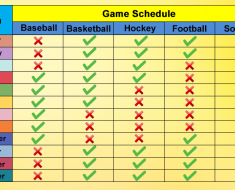 Although most football teams play on the weekend’s other sports such as baseball, basketball and even hockey organize games on the weeknights. Thus buying tickets for a game of weeknight will save your bucks as the tickets are not much in demand during the working days of a week. 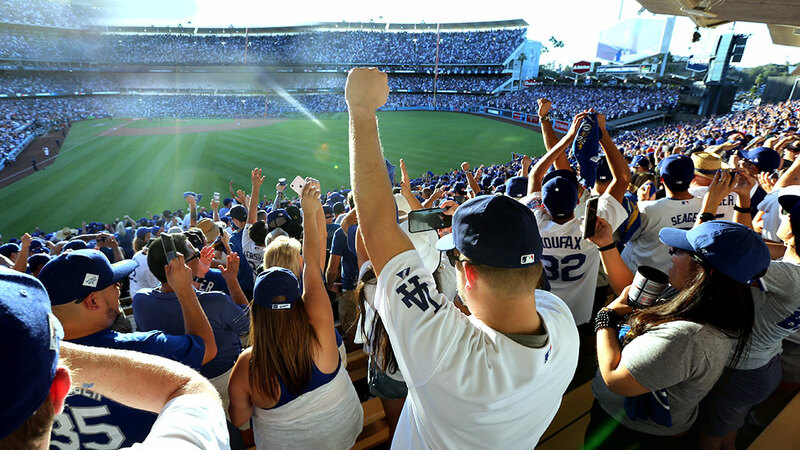 Check out for the baseball game of May in advance and you will find the ticket prices varying by the different days of a week. Although this might come as a risk to the game buffs, if you take the risk and wait till the game day, you might be lucky to grab last minute sports tickets at crash bottom prices. Believe it or not, few tickets always remain even till the big day and if you manage to grab those, you can save quite a few bucks. Why? Because on the day of the game the agents simply want to get rid of those tickets and thus if you apply your bargaining skills you will able to bag an attractive deal. The only downside of waiting till the last moment is you will have fewer options of seats available. But the agent will be eager to sell those seats to you in whatever price you agree upon. 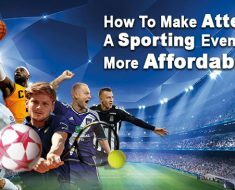 Now, you tried above all the ways but unfortunately you can not get those cheap tickets for sports then there is still a wonderful option for you to grab Cheap Sports Tickets. 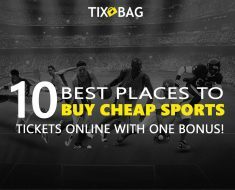 Look for the best website to buy sports tickets and go to the site and you will find attractive deals even on group and couple tickets for every upcoming game. The interface is super easy and the transactions are super fast. 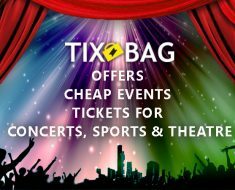 For the ones who wait till the day before the game to get their tickets, Tixbag has got the coolest deals for you!